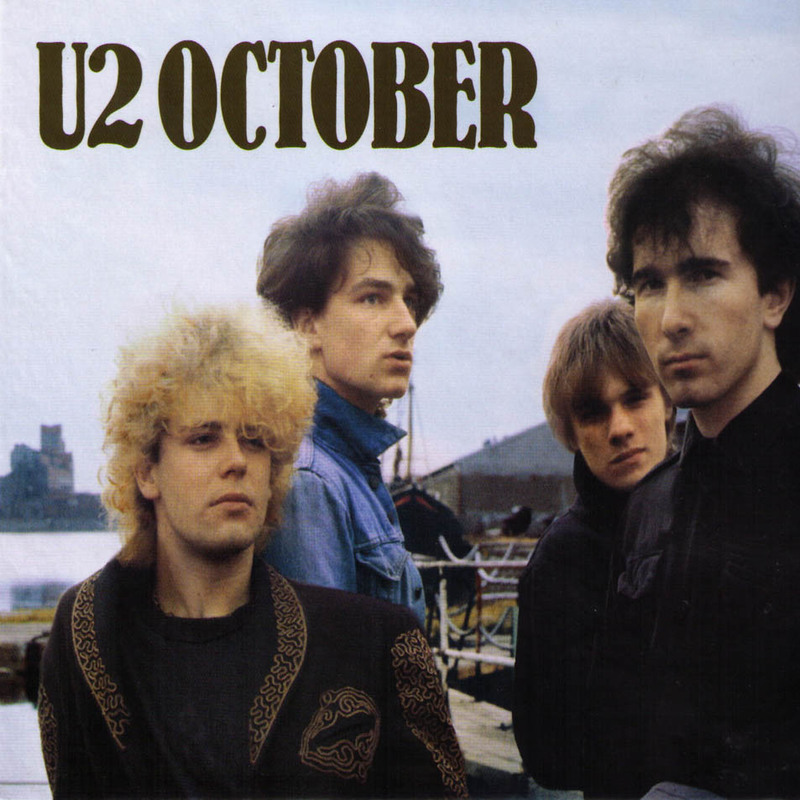 I know that I’m defying the popular consensus, including the band members’, when I say that October is the best of the first three U2 albums. I bought this album on a cassette, along with the Joshua Tree, in around 1988 or 1989, and actually I listened to this album more so than I did the Joshua Tree, believe it or not. And I’ve been listening to it ever since. Strengths of albums have to be measured on the overall reach of the collection, and not based on how many hits or stand-out songs are contained amid generic muck. On that level, October is only surpassed by their master piece, Achtung Baby. Sit down and give it a spin from the beginning to the end and you’ll see why. This collection has a uniform, focused sound and atmosphere and consistently high-quality songs throughout. And the flow of the album is excellent. From unusually progressive (with its surprise coda) opener, Gloria, to equally unusual peppiness of the closer, Is That All, this batch of songs simply pour out like a youthful and abundant wellspring, without any songs taking unnecessary detours or falling below threshold in quality. My beef with most U2 albums is that there are life-alteringly amazing songs littered throughout their career, amidst material that are clearly fillers. War, widely considered the pinnacle of their early trilogy, is a good example of U2’s laziness. Save for Sunday Bloody Sunday and New Year’s Day and 40, what other memorable songs are there? Trite and harsh in its political bent, I found War unlistenable as an album. The Joshua Tree was better, but the album, with its industry-best 1-2-3-4 opening (though the transition from With or Without You to Bullet the Blue Sky is jarring at best), the album meanders off to awkwardly folky territory, with the notable exception of dark and piercing Exit. Again, there are amazing songs — but does it function as a collection? No. Back to October, it has a thematic unity and sonic cohesion that are lacking in many of their more well-known albums. Sure, perhaps Gloria or Fire aren’t the singles that I Will Follow and New Year’s Day were. Still, considering that the band was short on time and under pressure, there is a wealth of creativity applied throughout. There are some of the Edge’s most memorable piano playing on this album, for example. I Fall Down has a catchy piano-driven riff that rival New Year’s Day and guitar/key interplay very well-executed. October has a serene beauty in its spareness and simplicity. In Scarlett, Larry Mullen, Jr. lays down hypnotic drum groove, on which the piano and guitars float in and out, like waves. Speaking of Larry, this album also features significant contributions from this creative drummer. Listen to the tribal motifs of I Threw a Brick Through a Window or the euphoric climax of his tom-tom work-out in the bridge of Rejoice. The latter song, along with With a Shout and Is That All? display youthful momentum that U2 has almost completely lost after this album. On the lyrical side, this is U2 at most overtly religious — and I realize that can be a turn-off or distracting to some. U2 themselves apparently don’t relate to this era, as this was their most spiritually zealous period, and they have rarely played songs from this album after the Joshua Tree came out. It’s a pity — while I agree that U2 of now is nothing like U2 of October, this album is a gem of a collection. Excepting Achtung Baby and short of assembling your own greatest-hit collection by culling songs from various albums, you’ll never find a U2 album as coherent, focused and complete. A remastered CD came out this summer, with supposedly a superior audio quality. I haven’t checked it out myself, but plan to. I recommend you do the same.